South Africa's Best Wedding Venues 2012: Earth Lodge in Sabi Sabi Private Game Reserve . Sabi Sabi Private Game Reserve is set in the Sabi Sands Game Reserve, part of the greater Kruger National Park. An outstanding option if luxury is what you’re after, in which case look no further than this amazing award-winning game lodge and one of the best wedding venues in South Africa. Sabi Sabi offers a variety of choices for a five-star safari styled wedding fashioned into what your dreams are made of. Whether it’s a sunset ceremony, a bush clearing overlooking hills with the African bushveld as your backdrop, or a service in one of the luxurious lodges, Sabi Sabi remains a quality choice for celebrating that special day. 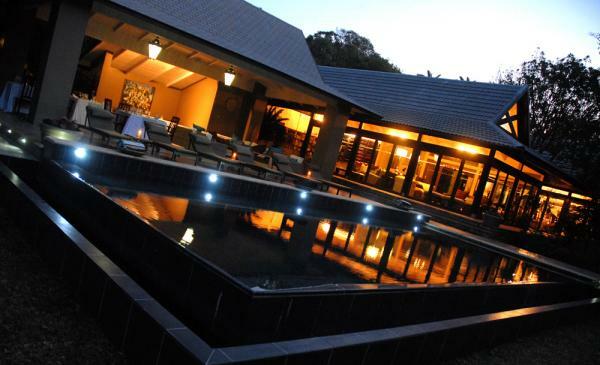 Prana Lodge is a 40-minute drive from the East London airport. Prana Lodge is a boutique hotel and Thai wellness spa situated in the middle of a flourishing forest alongside spectacular Chintsa Bay’ stunning savannah and a stone throw away from spectacular private game viewing. Seven individually designed suites feature pieces from a private collection of famous South African artists, Persian carpets, the best luxury linens and beautiful bathrooms with garden views. One of South Africa’s few exclusive 5 star wedding venues and an experience for the groom, the bride and guests alike behind private garden walls with patios and plunge pools. 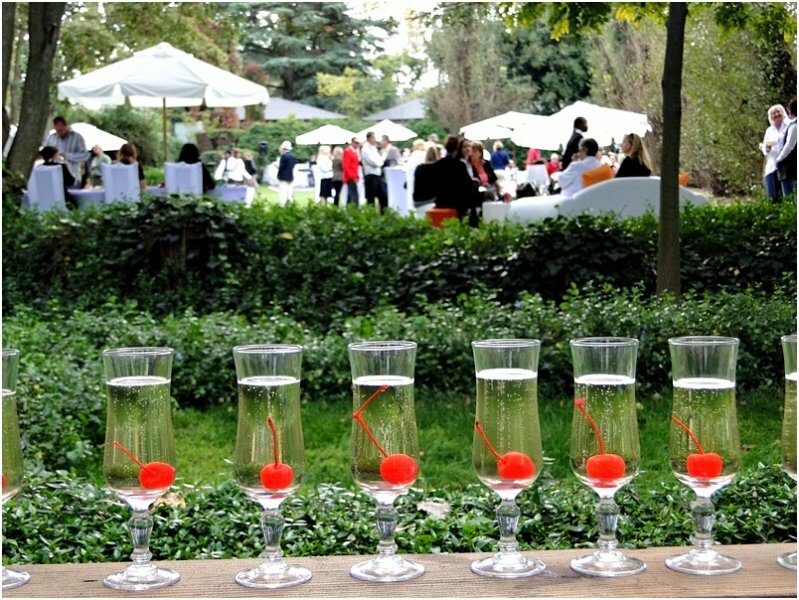 South Africa's Best Wedding Venues 2012: The Suikerbossie Photo: Jon Minster. The Suikerbossie is located on the slopes of Table Mountain with spectacular views overlooking the Atlantic Ocean towards Chapman’s Peak Drive. A truly breathtaking venue situated above the coastal village of Hout Bay with the historical restaurant offering fantastic food. 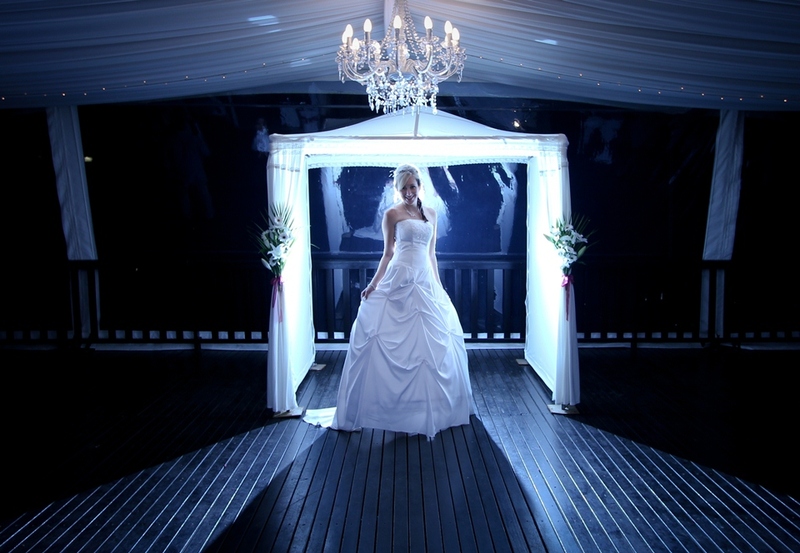 At no extra charge the wedding ceremony can be held in the garden. Gazebo, chairs and umbrellas are made available on the day. A log fire in the stone fireplace creates a warm and cosy atmosphere in winter. In the case of bad weather a plan can be made with the ceremony taking place indoors and a red carpet can be made available for the bride's entrance. 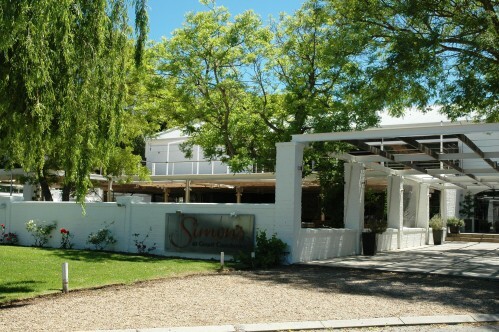 Simons at Groot Constantia is a favourite hidden in the Constantia Valley on the oldest wine farm in South Africa founded in 1685. The venue caters for up to 450 guests with both indoor and outdoor dining options. Agricultural activities on Constantia included viticulture, and Constantia wine became renowned in Europe. In 1709 there were 70,000 vines on the farm and Van der Stel produced 5,630 litres of wine. The old Cape atmosphere creates an amazing ambience while the restaurant offers the likes of grilled mushrooms, local mussels, blackened calamari and the char-grilled cut of the day for the carnivores. The wine list bridges a gap. According to Eat Out SA, it’s extensive enough for the budding connoisseur, but simple enough for the learning pallet. 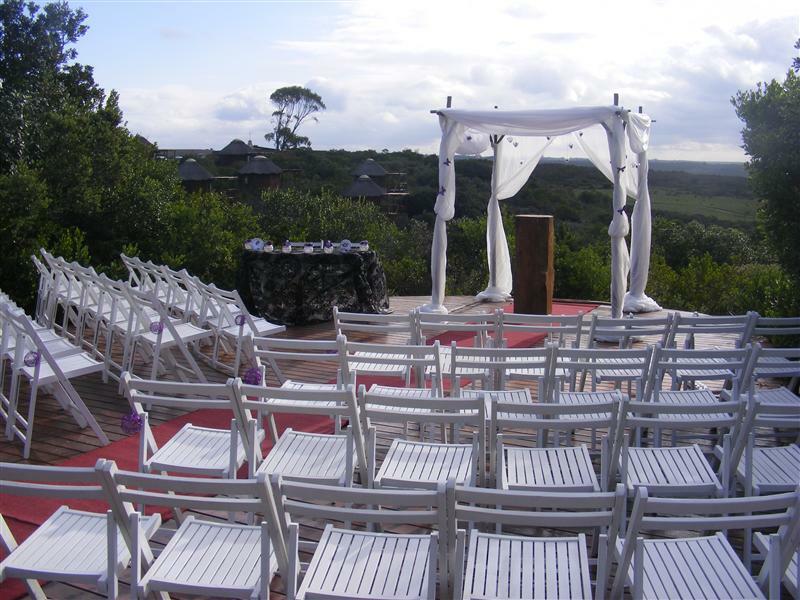 Garden Route Game Lodge in the Garden Route offers a luxury setting for a wedding set in a charming chapel with a reception venue providing the perfect location for that special day. The venue caters for up to 200 guests and includes a dance floor to take you into the evening. Located on Langeberg Mountain Range, on the Garden Route, the game lodge stands at the entrance of South Africa’s world famous Garden Route Coast. Only 3½ hours’ drive from Cape Town, this private game reserve is home to animal and bird life including the famous Big 5 and is one of the best wedding venues in the area. Bella Vista is situated in the awe inspiring Valley of 1000 Hills in the magical Kwa Zulu Natal and is a luxury venue ideal for intimate weddings boasting some of the best views in South Africa. Bella Vista has an outstanding reputation for excellent food and superior service holding gold awards for In House Planning and Reception Venue from the South African Bridal Industry Academy. Bella Vista’s function room overlooks the valley with an adjoining large undercover deck which together holds 170 guests. The venue includes a service bar, a lower open deck, gazebo, swimming pool, secure parking and landscaped gardens for taking those gorgeous wedding photographs capturing the mood and locking in memories. Bushman’s Kloof Wilderness Reserve settled in the Cederberg Mountains offers 5 star wedding planning with world class cuisine. Exceptionally trained staff cater to every need while one of South Africa’s most breathtaking locations lends itself to making it an extraordinary affair. Voted the Best Hotels for Food Africa, Middle East & Indian Ocean 2011 (Gold List) and again in 2011 by Condé Nast Traveller UK, then voted in the Top 50 Resorts in Africa 2011 by Condé Nast Traveler USA, considered the best international industry awards. 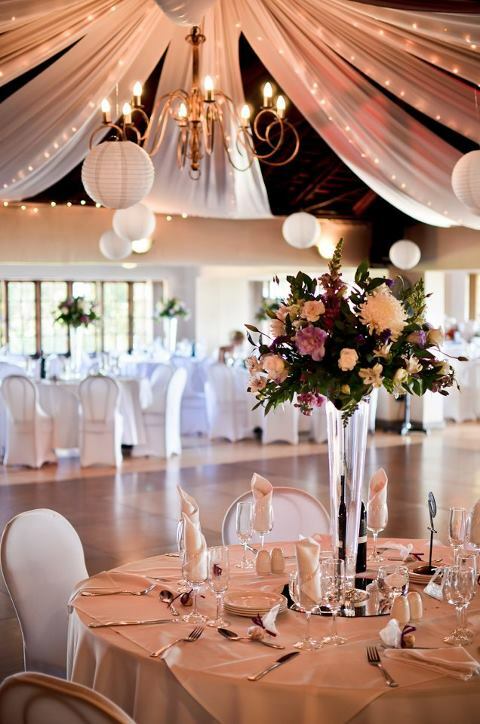 Grand Kruger Lodge is situated in the heart of the bushveld approximately 450km from Johannesburg, and provides the perfect safari wedding venue, with highly qualified staff, music, flower arrangements and chapel. The wedding chapel has been designed to provide the perfect setting for the wedding ceremony and can seat up to 120 guests. The Grand Kruger Lodge's 4 star accommodation is designed with comfort in mind, despite the fact that guests spend most of the time outside. The lodge sleeps 44 guests in 8 rooms and 6 units in the Bush Camp Chalets. The Grand Kruger Lodge offers a quality and exclusive experience. Oakfield Farm is famous for hosting elegant weddings and renowned for seamless eventing with a long standing tradition of providing quality professional service with a team of staff taking care of all the trimmings with sheer attention to detail. Oakfield’s signature 150 year old giant Oak tree landmarks Muldersdrift in an unmatched setting with restored historical buildings. Oakfield understands that the ceremony is one of the most moving aspects of the entire wedding. The open chapel is set in the exquisite Cottonwood Forest and is ideal for smaller ceremonies. The conservatory sets the mood while the magnificently manicured gardens of Oakfield allows for fairytale perfect garden ceremonies. 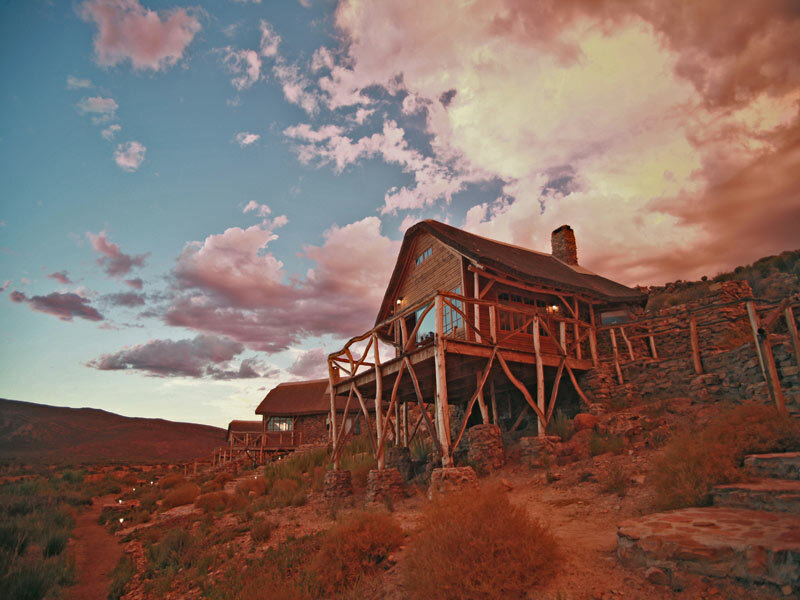 Aquila Private Game Reserve is situated in the heart of South Africa’s Karoo Desert making it one of the most beautifully scenic venues for weddings in the country. With four of the Big 5 and picturesque settings, it places this premier venue amongst the country’s best luxury locations available for that special day. Aquila Private Game Reserve provides the perfect place to host that magical outdoor wedding at one of the various locations on the reserve or in the magnificent lodge. Intimate wildlife safaris, cool-off dips in natural rock pools, bare-it-all outdoor showers, and private luxury chalets make for the perfect wedding weekend with friends and family. With South Africa's best wedding venues, there's no reason why the importance of your wedding day shouldn't be echo'd by a honeymoon in Africa.